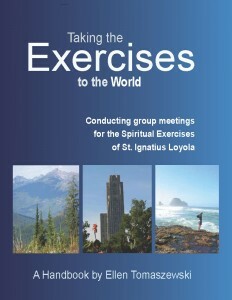 When our small group of lay people began the Spiritual Exercises in 1986, the task felt daunting. Sr. Dee Marie Reeder began with 12 lay people, whom she asked to continue as directors the next year. Some did, but providing spiritual direction for others seemed like a major task. When Sr. Dee left after the first year, our small novice group (consisting of only lay people) felt ill-prepared yet willing to walk in trust. We wanted to provide a way in which the group of participants could meet together, and hear more about the movements of the Exercises. Yet to do so took many hours of planning, coordinating, and organization. At first, group meetings were hodge-podge at best. We had no formal application process, no brochure — nothing. 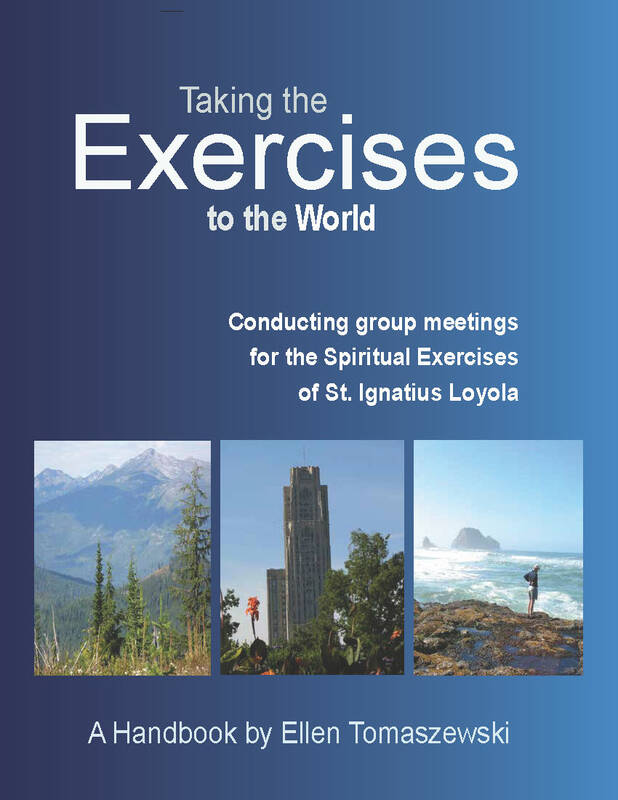 After several years of “seat-of-the-pants” planning and creating, Ellen Tomaszewski felt that if someone wrote down what our Spiritual Exercises in Everyday Life (SEEL) group did each year, organized it into a manual, and updated it regularly, our group would benefit greatly. That “someone” turned out to be Ellen (after all, it was her idea). Several people have read and made comments, including Fr. Larry Gooley, S.J., National Assistant to Christian Life Community (CLC), (who has written an introduction for the book) and Fr. Joseph Conwell, SJ, author. This manual provides over 200 pages of experience and testing that every director providing the Spiritual Exercises could benefit from. Taking the Exercises to the World has been tested over several years. It’s been revised and updated several times as we found better ideas, more appropriate prayers, cooler environment materials, or more relevant sharing questions. It’s the manual we always wished existed, but couldn’t find anywhere. We believe it will help any program, established or just starting, with helpful ways of proceeding.